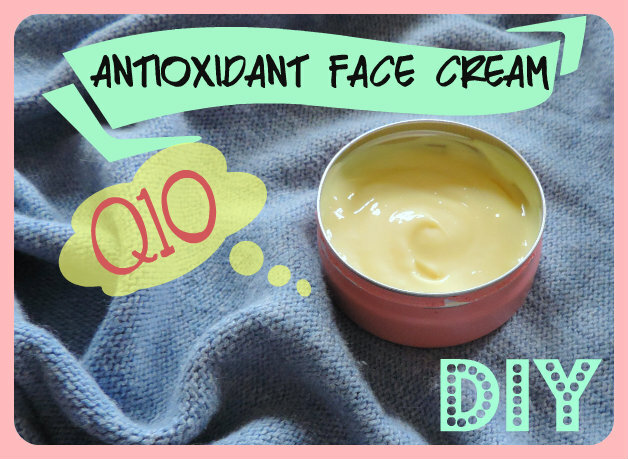 Q10 is known to accelerate the metabolism of a cell, therefore it somehow makes the cells live shorter (or, as they put it in the cosmetic industry: “it promotes skin renewal”). It works well with Vitamin C (of course we are going to use a stable form), Vitamin E and Alpha-Lipoic Acid. Warning! Alpha-Lipoic Acid has a terrible smell of battered egg, therefore, if you can’t stand bad smell, omit it! The INCI is: Potassium Palmitoyl Hydrolyzed Oat Protein, Behenyl Alcohol, Palm Glycerides, Sodium Stearoyl Glutamate, Sucrose Palmitate. 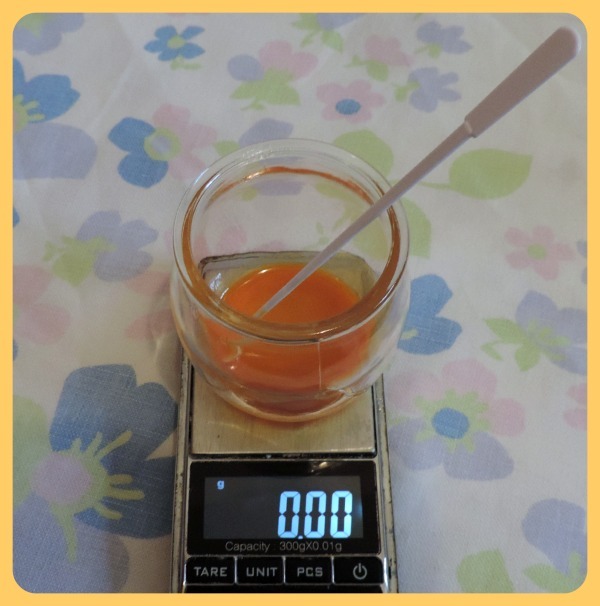 I have decided to follow the technical sheet of it and I have used it as the only emulsifier and thickener (it already contains Behenyl Alcohol, which is a thickener) at 7%. 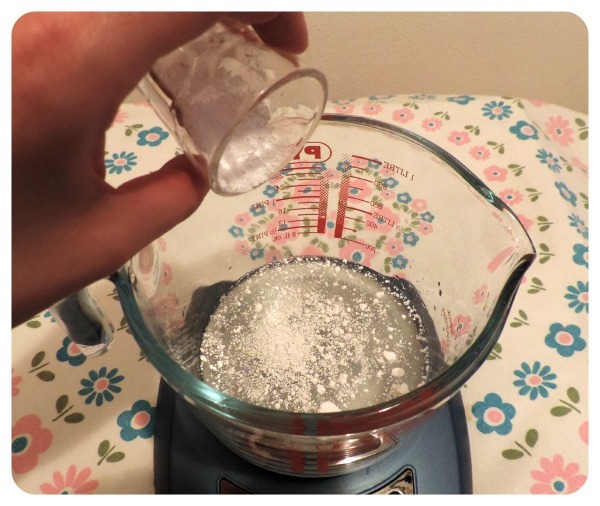 Then we pour the Carbopol on top of the remaining water of the Phase A. Only after the Carbopol has “hydrated” you can add the Xanthan Gum mix to the Carbopol water. 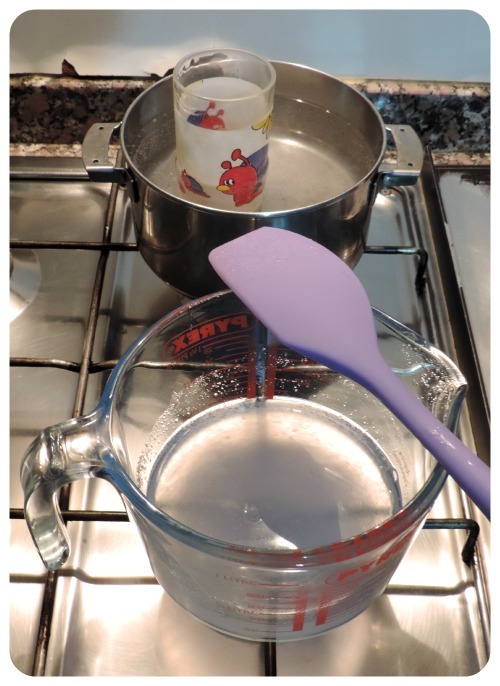 4) When they both reached the temperature of 70°C, pour the Phase B into the Phase A (little at a time, while stirring with a spatula). When all the Phase B is in the Phase A, it is time to use your stick blender or immersion mixer and create the emulsion. Pay attention to not incorporate any air in the process (it might destabilize your emulsion in the future, if the cream is full of micro-bubbles). 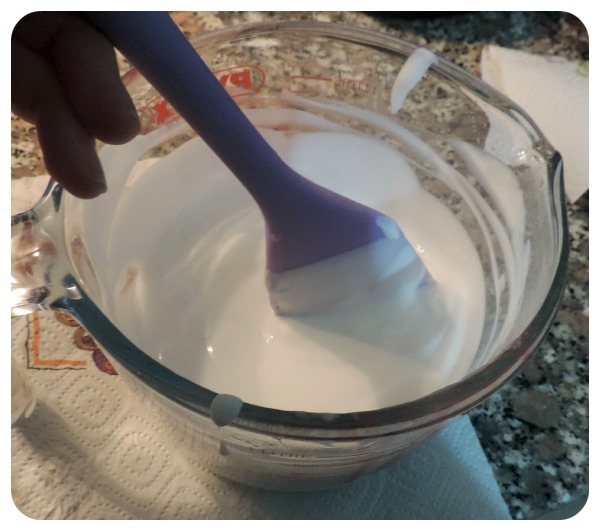 5) Once it looks emulsified (it will still be quite liquid, however I noticed that this Hitecream emulsifier thickens pretty fast 🙂 ) keep stirring with a spatula until the cream reaches room temperature. 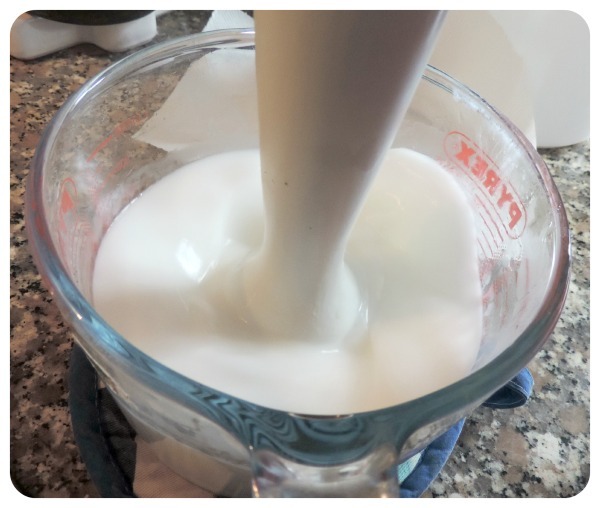 Do not skip this step: when the emulsion is still hot and quite liquid it can easily break; stirring with a spatula helps the emulsion get stable. The one on the left is the Q10! You can see what a wonderful orange rich color it has! In the cream, however, it will become quite pale (we are using only 0.1% of it). Add it to the emulsion, using a spatula. 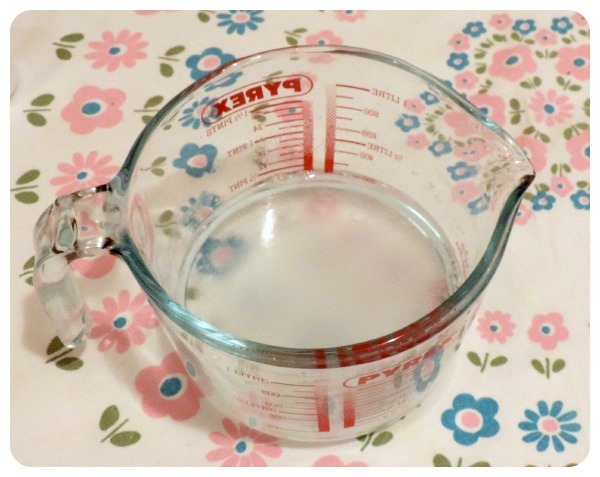 6) Measure the Phase C and add it to the emulsion as well. how about we add kojic acid or sepi white for lightening? What is the INCI for Sepi white? Kojic acid is just an acid and, as such it can only lightly (and with time, unless you make a totally different cosmetic: an acid peel) peel your outer skin layer making your skin appear lighter in case you got tanned. All acids work in the same way but they need to be handled differently in formulation (some are stronger than others), but they don’t really whiten the skin.